​​When myth or misconception exist in the marketplace, confidence in the entire hearing industry suffers. Even those hearing professionals who adhere to higher quality standards suffer, as do the many Canadians with hearing loss who have lost hope for achieving better results. "In the current marketplace, hearing clinics can do everything right with respect to trust, quality, and ethics and still suffer financially. As long as the public believes certain myths about hearing aids, change is unlikely. When the general public is not aware of what makes a quality, independent hearing clinic far better than the rest, it's hard to blame clinics for cutting corners in such a competitive marketplace. The good news is that there is an emerging market segment that does "get it". They are thirsty for reliable facts and adept at critical thinking, technology, making value judgements, and taking initiative for themselves and others. They can see mass marketing for what it is and have, in response, have had to develop the ability to think independently and to advocate for themselves. 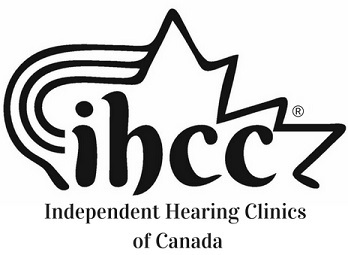 By encouraging change in the hearing industry, IHCC is creating a climate where this market segment will be well served by progressive hearing clinics across the country." In this section, we address myths commonly held by the general public like "Hearing Aids Don't Work", "Hearing Aids are Like Glasses", "Higher Cost, Better Results", "All Styles are Equal", "All Hearing Clinics are Equal", "Industry Change is Impossible".